All electrically controlled devices or systems in the USA must be approved. Conformity with national safety regulations is demonstrated by a mark of conformity from a qualified, recognised testing laboratory. 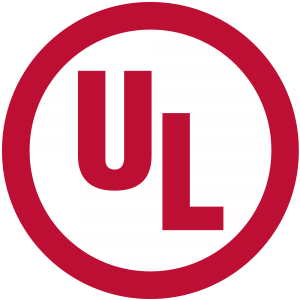 The most widely recognised testing laboratory is UL (Underwriters Laboratories). UL conducts tests according to UL standards, which incorporate national standards as an essential component. The ultimate purpose of these tests is to minimise the risk posed by insurance companies’ liabilities resulting from equipment and the hazards associated with it (electric shock, fire and mechanical injury). The damages awarded by courts in the USA can easily reach levels high enough to threaten the continued existence of manufacturers, sellers and users (companies). Conformity to national safety requirements can be verified by “listing” or “labelling”. Listing or labelling is the issuing of a mark or symbol (such as the “UL mark”) by a qualified Certification Organization (CO) confirming that appropriate testing has been carried out and that a piece of equipment or system conforms to the relevant safety regulations or is suitable for a specific purpose. There are several types of UL Marks. Each has its own specific meaning and significance. The UL Marks may be only used on or in connection with products certified by UL and under the terms of written agreement with UL. IQMS consist of highly qualified experts with a unique combination of manufacturing experience, business and financial expertise, and a “hands-on” approach creates a recipe for our clients’ success.